Like a jazz pianist or an abstract painter, Petra Class uses traditional jewelry materials to convey mood, like the 18K gold and lapis lazuli in this stunning bracelet. 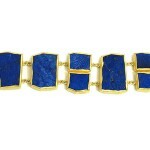 Linked together with handmade chain, this bracelet falls comfortably on the wrist and may be adjusted for a tighter or looser fit with the bar clasp. 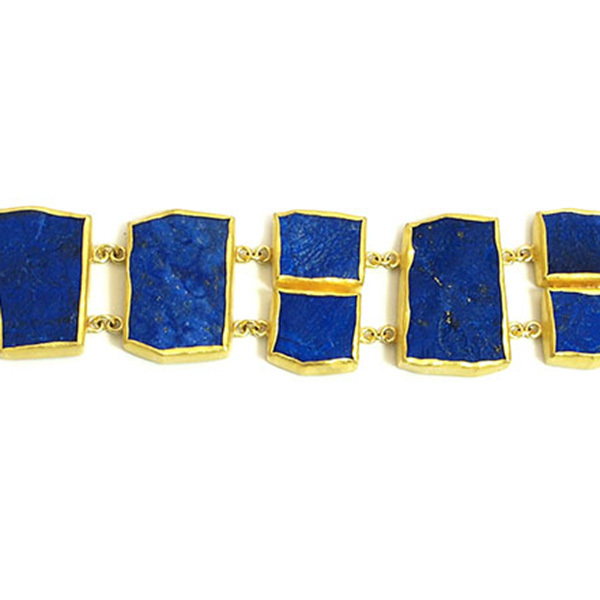 Blue as the sea or the midnight sky, the naturally rough surface of the lapis lazuli becomes the language of this poetically beautiful bracelet.